Labor Day weekend 2014 marks the one year anniversary of ICE (International Collector Event). 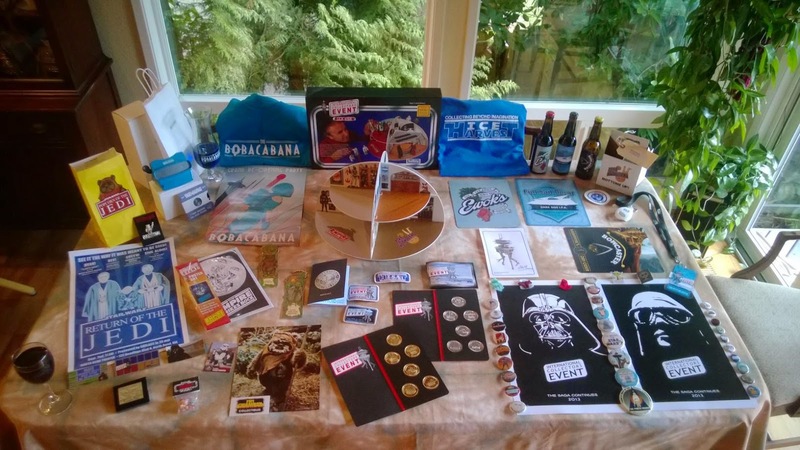 ICE was a weekend extravaganza devised by Seattle area collectors as an opportunity for Star Wars collectors to gather for a weekend specifically geared to them. Invitation postcards were mailed out to collectors and friends of local Seattle collectors. 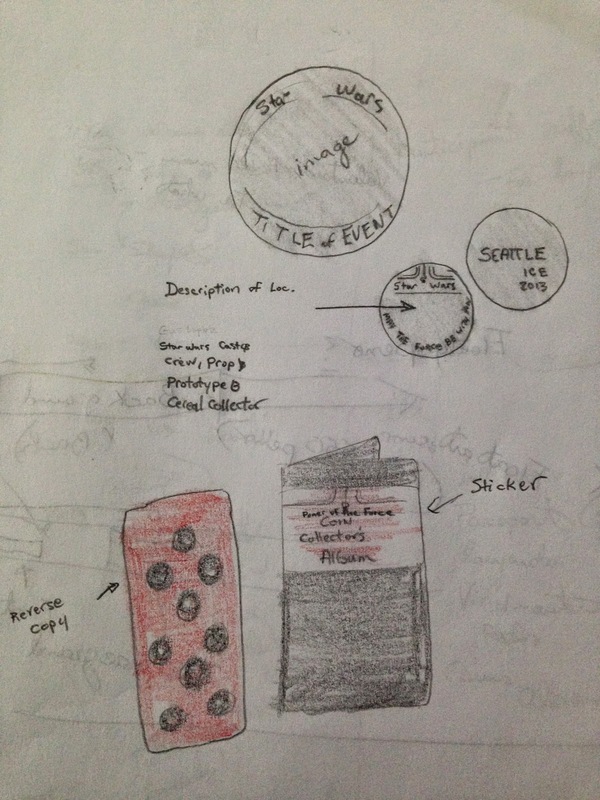 ICE as a concept began in a small Starbucks coffee shop atop Seattle's Capitol Hill neighborhood Labor day weekend 2012. During the meeting many ideas were thrown about including transportation, lodging, events, and giveaways. 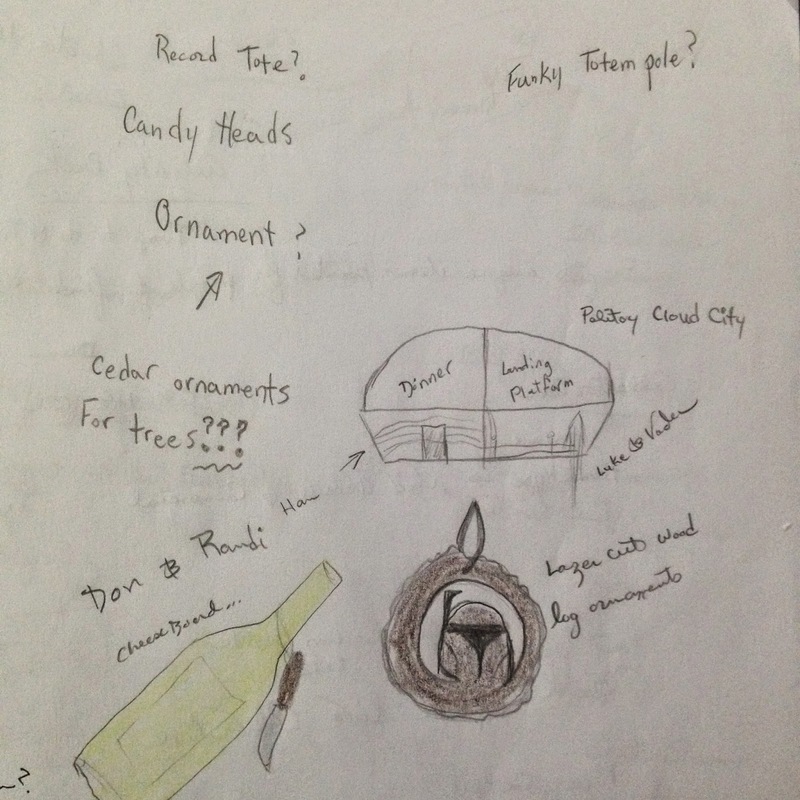 The giveaway concept phase lasted for several months as collectors settled on just the right amount and type of items to surprise ICE guests with. 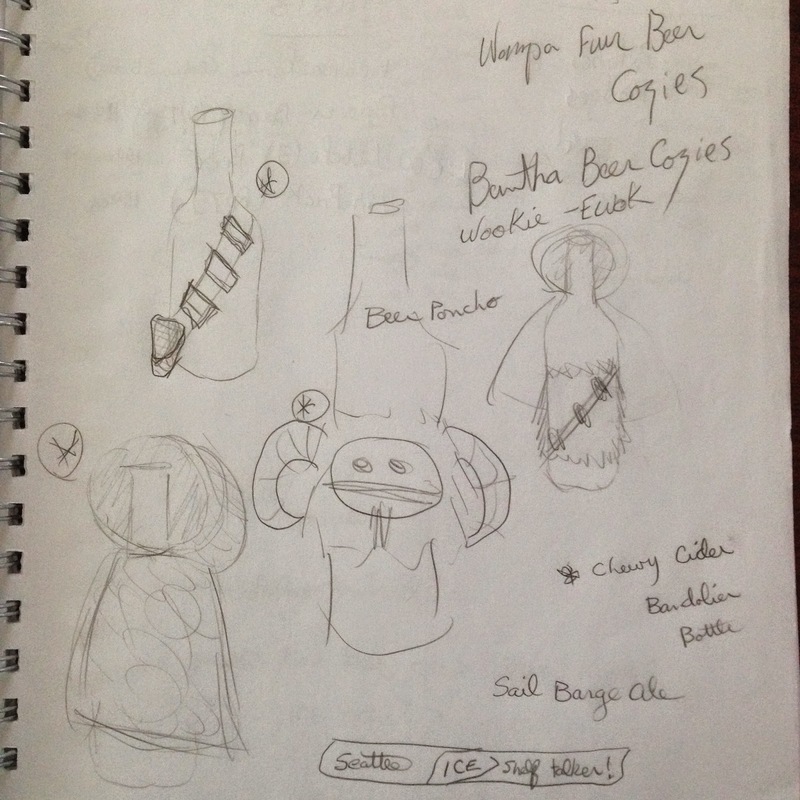 Some of the more unconventional ideas that didn't make it past the concept phase were cheeseboards, wood ornaments, floaty pens, and beer cozies. There were of course concepts that eventually become the main giveaways of the event including a coin album with coins commemorating different activities over the weekend. Ultimately the giveaways for ICE were expansive, six events each with their own set of giveaways designed by two designers. Even the guests of ICE made their own giveaways to share. 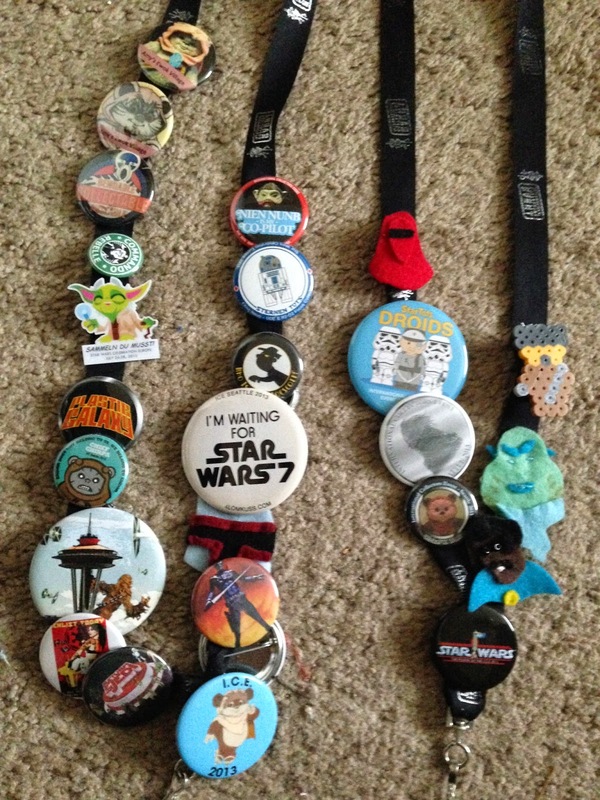 Button trading was in full force all weekend. In the end ICE exceeded the expectations of the the few that gathered at Starbucks on Labor day weekend 2012. The end result: over 140 collectors from all over the world came to Seattle and had a great time. you may follow our blog which specially dedicated to sunny leone in bikini stuff.